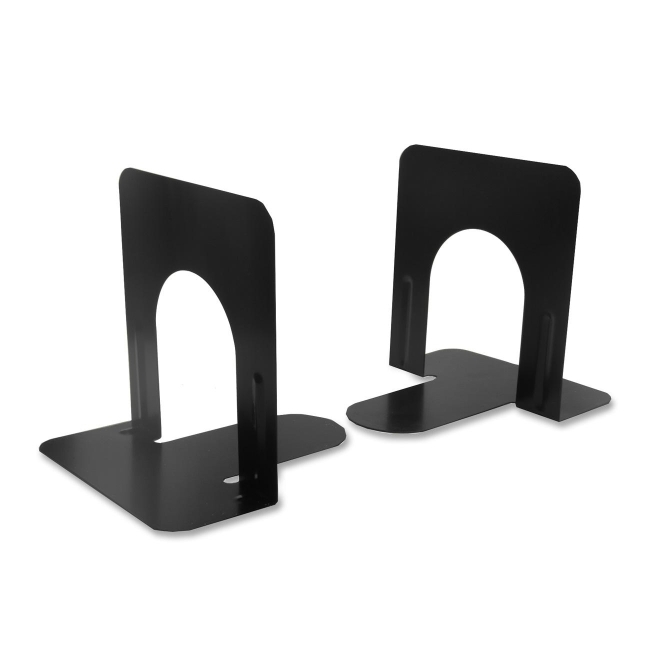 Pair of bookends is made of heavy gauge steel with reinforced ribbing. Smooth coined edges provide extra safety. Nonskid poly base prevents slipping and scratching.